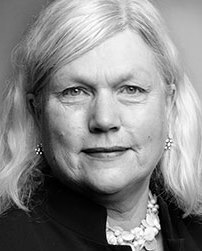 Professor Judith Sloan is a well-known economist and Honorary Professorial Fellow at the Melbourne Institute of Applied Economics and Social Research at the University of Melbourne. She has previously been Director of the National Institute of Labour Studies and Professor of Labour Studies at The Flinders University of South Australia. Professor Sloan obtained her degrees at the University of Melbourne and the London School of Economics. Currently, she is a Director of the Westfield Group and a Contributing Economics Editor for The Australian.